By monitoring serum concentrations of infliximab (IFX) and adalimumab (ADL) and levels of their antibodies in patients with inflammatory diseases, clinicians can adjust dose and increase safety and effectiveness of treatment. The aim was to develop and validate in-house enzyme-linked immunosorbent assays (ELISAs) for IFX and ADL, together with anti-IFX and anti-ADL ELISAs for routine detection and further analysis with acid dissociation of immune complexes. Furthermore, the objectives were to compare in-house assays with commercial ELISAs and reporter gene assays (RGAs) and to determine cross-reactivity between original Remicade®/Remsima™ and their antibodies. In-house ELISAs were validated (imprecision, accuracy among other criteria) and compared with commercial apDia ELISAs and RGAs. Correlation coefficients, intraclass correlation coefficients, agreement, and bias were calculated. All in-house ELISAs gave precise and repeatable results. The immune complexes between IFX and anti-IFX were found in 3% of samples, while complexes between ADL and anti-ADL were found in 14% of samples. Significant correlations were found between in-house and apDia ELISAs and RGA for IFX, ADL, anti-IFX, and anti-ADL results. Remicade®, Remsima™, and their antibodies could be accurately measured with either apDia or in-house IFX and anti-IFX ELISAs. Accurate and precise in-house ELISAs, highly comparable with commercial ELISAs and RGAs, were developed and validated for routine analysis of samples of patients treated with IFX (Remicade® or Remsima™) or ADL providing substantial cost benefit. Complex dissociation identified samples with anti-IFX-IFX (3%) and anti-ADL-ADL (14%) complexes indicating the benefit of adding acid dissociation to therapeutic drug monitoring of IFX and ADL. The authors would like to thank all the staff in the Department of Rheumatology and the Immunology Laboratory, who helped collect and process the patient samples. 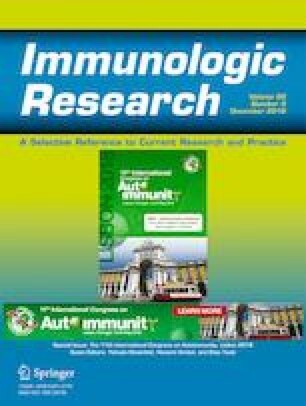 The authors received financial support from the Slovenian Research Agency for funding the National Research Program “Systemic Autoimmune Diseases” (No. P3-0314). This study was conducted as part of the National Research Program (No. P3-0314) and has been approved by the Slovenian Ethical Committee (#99/04/15 and #38/01/16). It has therefore been performed in accordance with the ethical standards laid down in 1964 Declaration of Helsinki and its later amendments. Informed consent was obtained from all individuals included in this study. Gionchetti P, Dignass A, Danese S, Magro Dias FJ, Rogler G, Lakatos PL, et al. 3. EUROPEAN Evidence-based consensus on the diagnosis and management of Crohn’s disease 2016: Part 2: surgical management and special situations. J Crohn's Colitis. 2017;11(2):135–49. https://doi.org/10.1093/ecco-jcc/jjw169. Bendtzen K. Immunogenicity of anti-TNF-α biotherapies: II. Clinical relevance of methods used for anti-drug antibody detection. Front Immunol. 2015;6. https://doi.org/10.3389/fimmu.2015.00109.